Our core disciplines and experience, combined with state of the art assets, geographic reach and responsiveness has been applied successfully to projects world-wide in search and recovery, energy, telecommunications and government / military markets. EGI’s senior program managers have demonstrated expertise in the management and acquisition of mission critical services and materials. EGI develops project plans to manage all elements of mission requirements including; engineering services, fabrication and materials, personnel and equipment, transportation, vessel and/or aircraft hire. We may be tasked to manage subcontractors in remote locations outside of the United States. EGI is experienced in working with foreign nationals and is versed in dealing with local government regulations, local law and cultural differences. Unmanned remote technology solutions are at the core of our business. Our subsea capabilities start at the surface of the ocean and descend to a depth of 6,000 meters. 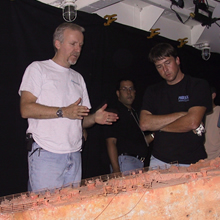 Every operation has its own unique requirements and mission. EGI utilizes our own in-house capabilities and those of our teammates to provide the best solution. EGI is developing our own line of ROVs that satisfy the requirements of our operators and the expectations of our clients. These ROV systems are purpose-built to provide safe, reliable operations and are mission configurable to perform specific client operations. EGI has entered into an agreement with a private entity for the use of their Bluefin 12” AUV. This EGI-operated AUV sidescan is depth-rated to 1,500 meters seawater and provides EGI with the ability to cost effectively conduct survey operations from smaller platforms and complements our existing ROV capabilities. Cable installation is one of the technical services offered by EGI. 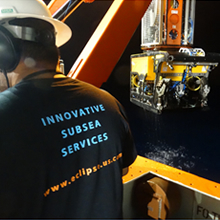 In addition to EGI’s extensive experience in the maintenance and operation of cable burial ROVs, EGI owns and operates its own cable installation equipment including linear cable engines (LCEs). Our equipment is rapidly transportable for mobilization onto vessels of opportunity (VOOs) allowing us to offer significant cost-savings to our customers for shorter cable installations versus traditional commercial cable installation vessels. EGI provides expertise in environmental site investigations and subsequent permitting support for development projects. 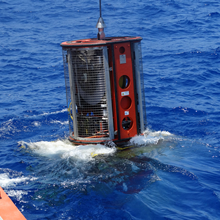 Our environmental specialists begin by conducting desktop and field investigations to characterize existing marine and terrestrial site conditions including land or sea floor cover type, critical species habitat, marine mammal distribution, geological and sediment conditions and other environmental factors. Our team then works closely with project management and engineering staff on project design and routing to expedite permitting approvals through minimized environmental impacts. This early involvement in the project design phase saves critical time and money in the overall life of a project. We analyze project effects and benefits on environmental resources in development of National Environmental Policy Act documentation including categorical exclusions, environmental assessments and environmental impact statements. EGI also brings extensive experience in other federal and state environmental permitting programs that may be needed for a project, depending on the scope and location.